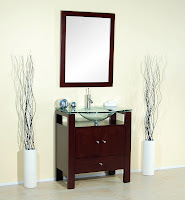 The Paris collection is the latest style in contemporary bathroom vanities from Bathroom Place. It features beautiful vertical lines and open spaces for a sleek and modern look. The base is constructed out of solid oak wood and finished in either espresso or mahogany. The main structure is built with finger joints for strength and decoration. All doors and drawers have soft closing, heavy-duty, and concealed hardware. Excellent attention has been paid to detail and craftsmanship on the Paris collection. The Paris modern bathroom vanity features multitude of compartments (2 doors and 1 bottom drawer) and it is available in sizes 24" and 32". The glass top is the finishing touch. It features an integrated 9/16" tempered clear glass lavatory that is both practical and beautiful. The clear finish gives a sense of openness and elegance. The Paris Collection also includes a unique linen tower that makes the line very versatile. It features 3 drawers, open middle section with counter space, and upper storage. Also, the linen cabinet has the same lines and fits flushed to the Paris bathroom vanity, the whole combination flows perfectly and looks like it is one piece. This feature allows for endless size combinations and makes the Paris collection perfect for any size bathroom, from the powder room to the master bathroom! 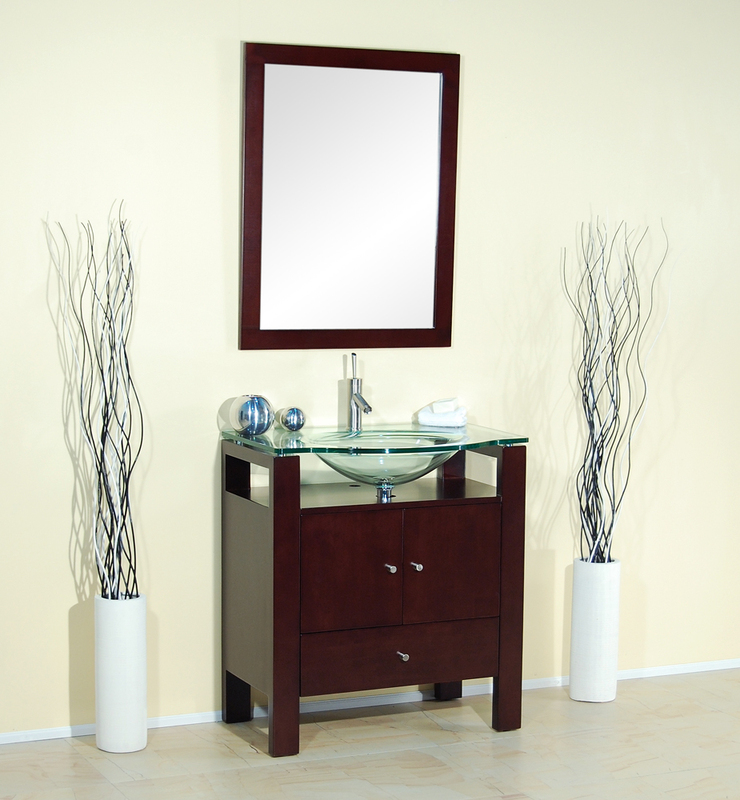 Built to last and impress, the Paris bathroom vanity has a beautiful presence that will take your bathroom remodeling project to the next level. These are some good looking vanities! If you're looking for ways to achieve a low cost bath remodel, try the designer, stock vanities like those mentioned here. These vanities can be bought at a great price and have a high-end, custom look without the custom price. We just produced a video and published an article about how to go about incorporating standard stock vanity sizes into your bath. Check it out if you get a chance. 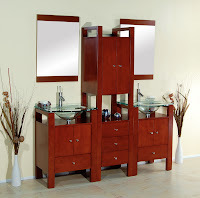 FYI: we don't sell vanities...we just like to help people save money on their building and remodeling projects. Wow ! Nice theme and all kitchen ideas is so amazed. I really like cabinet, All pictures give us unique ideas.